An efficient healthcare system, affordable and accessible to all citizens, is a vital component of a nation’s well-being. Providing the right care for the elderly, liberates the working-age population, allowing them to be productive and creative in the workplace; while efficient healthcare for adults and children ensures that the active population can create and produce more value for their community. Designing and maintaining an effective healthcare system has been of primary importance for the majority of nations in the last decades. Take Kenya, for example, where President Uhuru Kenyatta’s Big Four plan, has made the provision of effective healthcare a matter of national priority. Partially supported by the United Nations and the World Health Organization, the plan provides for heavy investment into creating a universal healthcare programme, for all citizens of Kenya, with individual attention and resources directed to the prevention of disease. Once a particular healthcare system is agreed upon by all stakeholders, the next major issue is the competent management of available resources and facilities, to successfully implement the mission and attain the vision of the system, in a sustainable way, that will benefit not only the present but also future generations. As a result, the role of the manager in healthcare organisations is growing in importance, along with the rapidly changing healthcare industry, in all parts of the world. Unicaf University’s MBA Health Management Programme focuses on training skilled administrators and managers, who can establish and operate an efficient healthcare system. The Programme builds on the established strength of the management core syllabus, to provide expertise in the unique elements and issues of the healthcare industry. Graduates of the programme develop an understanding of problems present in the administration and finance management of healthcare systems, and acquire the skills to solve such problems creatively and effectively. 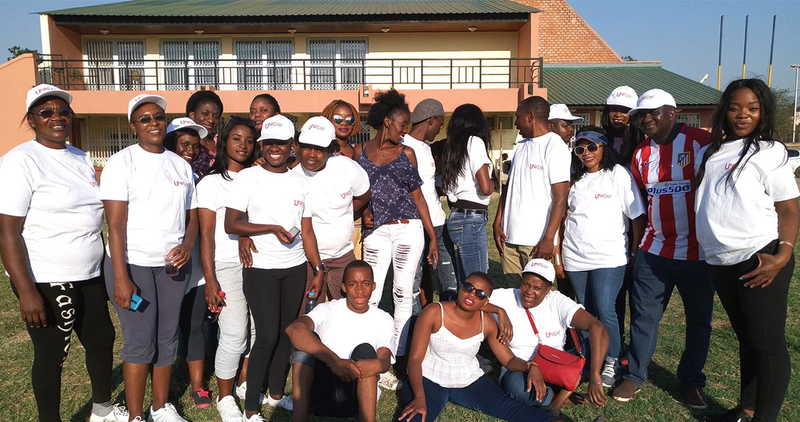 Students develop knowledge and practical skills in, among others, Operational Management, Health Economics, Financial Management of Public and Private Health Services, Human Resource Management, Strategic Development and Strategic Leadership in the health sector. This highly specialised MBA has an interdisciplinary basis, focusing on both Management and Health Economics, (including Hospital Administration, Total Quality Management, Financing and Planning of Health Services), as well as on important sectors of Public Health within the broader context of social policy, like Epidemiology, Sociology of Health and Sanitary Engineering. The Unicaf University MBA Health Management Programme is now available to eligible applicants at a fraction of the original cost, with an up to 50% UNICAF scholarship. The MBA is offered online, or through blended learning, which combines online delivery with classroom teaching, and is available at specific locations.